I recently drew a picture for inclusion in a new exhibition at Cinnamon Soho, a modern and popular Indian restaurant near Carnaby Street. 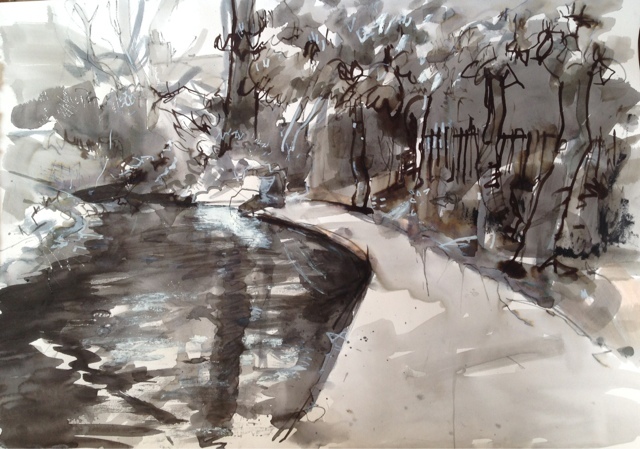 The exhibition, curated by Cristiana Bottigella, is a showcase of members of the 'Drawing London on Location' Meetup.com group. 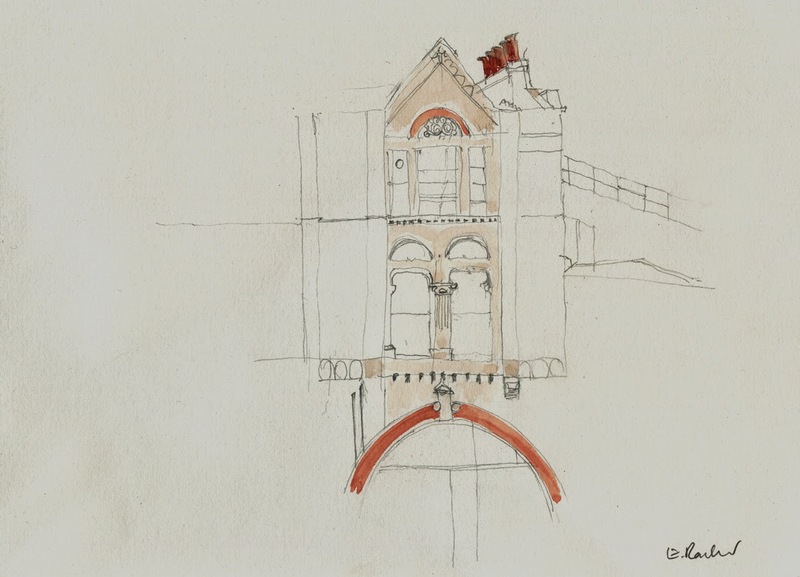 There's a lot of overlap between the Drawing London on Location group and Urban Sketchers, and it's worth signing up if you're hungry for more sketchcrawls, as their focus is on regular meet-ups (hence Meetup.com!). I chose this viewpoint mainly for my vested interests as an animator; I was fascinated by the green building, which used to be Richard Williams' studio for many years, a pinnacle of the British animation industry. On the other side is just visible the red brick of St Patrick's Catholic church, which I also wanted to include for its attractive architecture. In the middle of the square is a statue of Charles II, carved when he was alive, and placed there when the area was first built (and originally named after him as King Square). However, I've still no idea what the odd Tudor-looking hut is for. 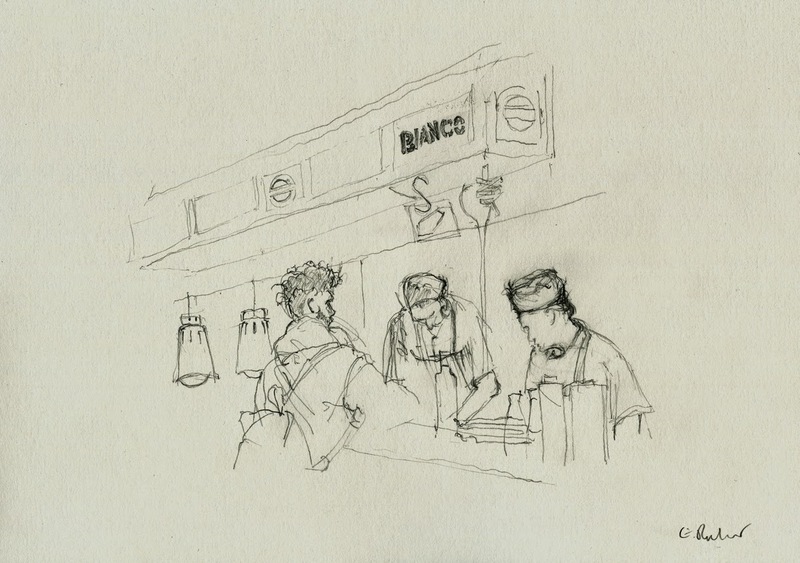 The Drawing London on Location exhibition is up from 27th April until 6th September, and takes 'Sketching Soho' as its theme, and features the work of over 20 different artists. You can find Cinnamon Soho at 5 Kingly Street. 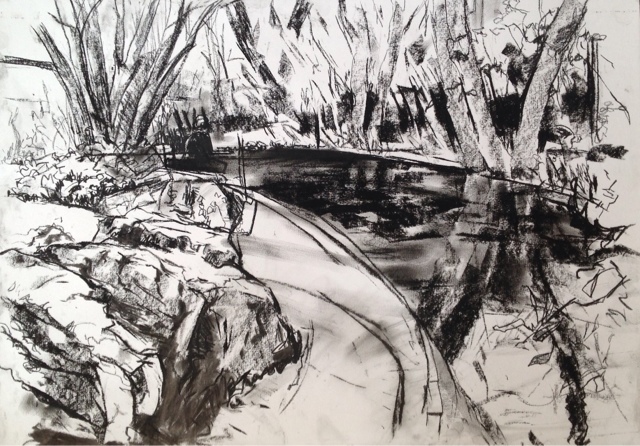 Now that the weather's getting milder, it feels like time to get out of the studio and do some outdoor drawing. That's the impulse I felt yesterday. But where? Selecting a location to draw when you have so much choice is difficult. I ended up deciding to explore a bit of North London's history that I hadn't yet visited - the New River Path in Islington. 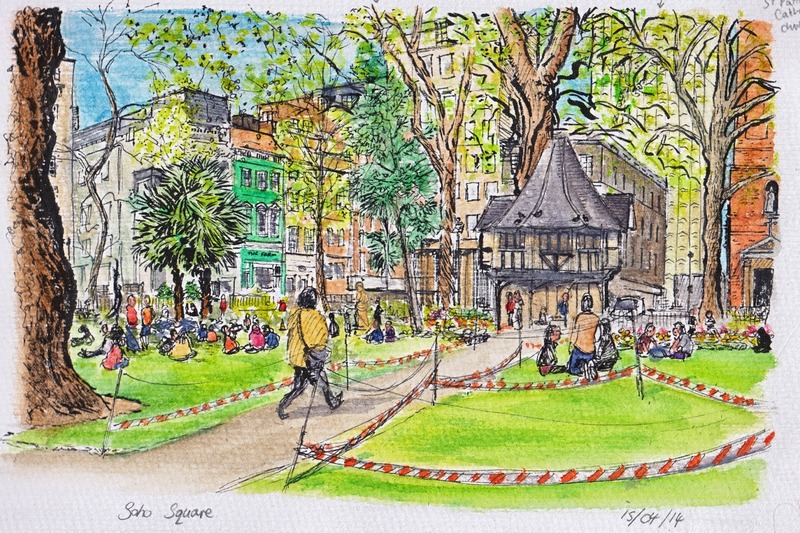 You are invited to join London Urban Sketchers this evening! This is a video of part of the exhibition being hung. 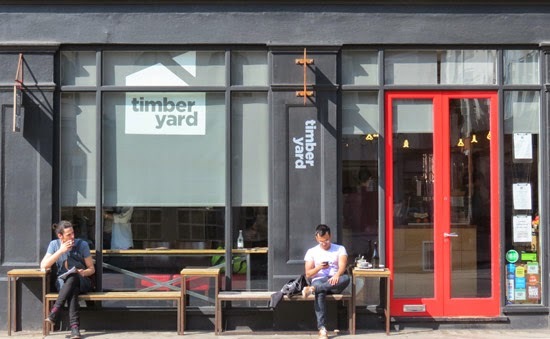 The show continues until 30 June and follows the second exhibition by different members of London's Urban Sketchers at the Seven Dials brand of Timberyard branch earlier this year. Started drawing this decrepit (yet full of original features) corner of Great Eastern Street this afternoon, after intending to draw the TEA building past the crossroads. After much thought, I still managed to get the paper the wrong way round, and spill water over it.